Motivating bored-but-gifted students using some fiery competition – and technology. There’s a lot of both media and academic attention paid to students with learning difficulties acting as barriers to acquiring knowledge, and rightly so. But teaching gifted and talented students poses its own set of challenges. Higher-achieving students can get bored easily or become impatient if they’re not given material that engages them academically. They can get frustrated if they find the pace in the classroom too slow. They also might yearn for a classroom that is more competitive than the one they’re in. Plus, not meeting these students’ needs for more challenging studies could squander the opportunity to push those students to new, exceptional heights. As someone who has taught gifted and talented students for 16 years, I’m constantly on the lookout for ways to meet the needs of these pupils in a way that keeps them engaged, their parents informed, and me, as their teacher, at least a few steps ahead of them! This summer, I turned to an edtech platform for the solution. The lessons I learned from our successes seemed worth sharing as a new school year gets underway. LANSDALE, PA — Children can lose more than two months of grade level equivalency in math over the summer, the North Penn School District cautions. That's why they're working to offer ways to stem "summer learning loss" by encouraging students to practice math during their off months. Many students have access to the Moby Max website (http://www.mobymax.com/), which their teachers provided during the school year. On the Moby Max site, children are able to access lessons that are designed to match their learning needs. They are also able to practice basic facts. Retaining fact recall over the summer is important in being prepared to move ahead in math during the coming school year, the district said. They also advised watching math enrichment videos on Youtube and accessing programing on Kids.gov and at the Khan Academy. The district said the exercises are good for the developing mind of any child regardless of their career path, as they are often about logic and learning to think ahead. 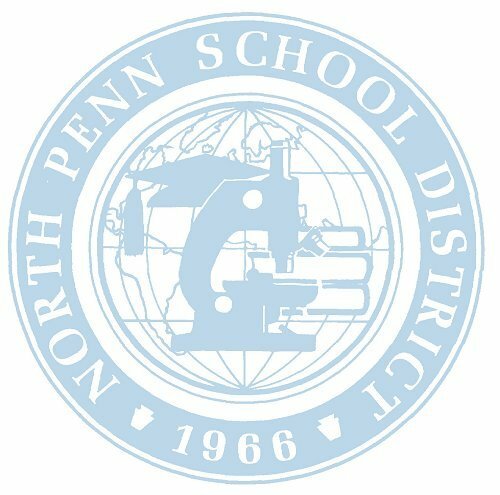 North Penn said that future scientists, lawyers, carpenters, and any number of other fields of expertise could benefit from these activities. - Montgomeryville Patch published the original article here. A teacher’s perspective on edtech that works for everyone. My school district, in Caddo Parish, Louisiana, might be a lot like yours. We have strengths and we have challenges with academics. Students in some of our schools have fallen way behind. They’re not reading, writing or doing math on grade level. They struggle to complete simple assignments. They don’t do their homework. Students in other schools are way ahead—but their achievement poses its own challenges. They might not be learning or doing their homework either, not because they can’t, but because they’re bored, or not getting assignments that continue to motivate them to new heights. Louisiana’s Caddo Parish School District in Shreveport achieved record-breaking results in the 2015-16 school year by using MobyMax to streamline its response to intervention (RTI) plans, according to a news release and the curricula company’s website. MobyMax is an innovator of personalized and blended learning curricula for K–8 students. The curricula and streamlined RTI plan enabled 12,300 students in 61 schools to complete 278,115 standards, a record for Caddo Parish School District, the company said. Students completed 9.1 million problems and 41,456 assessments, according to the company’s site. As educators strive to provide robust, relevant instruction to every student, schools are constantly seeking innovative methods by which to deliver that instruction. In a blended learning model, educators combine face-to-face education with online learning to develop such innovations in instruction. Although blended learning may seem to be the perfect answer, developing a successful blended learning plan can be easier said than done. As a blended learning strategist at Aldeane Comito Ries Elementary School, I’ve found that the initial planning stages are the key to an effective blended learning model. MobyMax is a leader in the world of online curricula for grades K-8. Their powerful Adaptive Learning platform is estimated to be in use in over half of the elementary and middle school math, reading, and science classrooms in the U.S. In 2016, they expanded their offerings to include social studies curriculum, and more subject areas are in development. Co-founder Glynn Willett and his son, Wade have been at the helm of MobyMax since 2004. Glynn recently talked with me about the evolution of MobyMax and shared his perspective on what successive generations of learning software have the potential to deliver. "MobyMax is one of the most complete K-8 computerized curriculums currently available. It has most of the technological and educational bells and whistles and was extremely well-designed using core and other standards." Company: MobyMax, P.O. Box 392385, Pittsburgh, PA 15251, (888)793-8331; mobymax.com. An online contact email form is available. MobyMax, a provider of personalized and blended learning curriculum for K-8 students, released Early Reading Trio, a new Touch Curriculum subject. In the curriculum, students start by learning sound-letter correspondences. Next, they practice interacting with familiar words in stories. Lastly, students finish the Trio by dragging and dropping words and pictures to “write” their own stories.